Most people want to wake up to the smell and taste of a freshly-brewed cup of energizing coffee. However, not everyone can enjoy their coffee first thing in the morning. Making your coffee is a long process, depending on the available equipment and a coffee drinker’s preference. Most people will want to take their coffee after eating breakfast, which makes the process much longer. Those people who wish to free themselves from the hassle may want to purchase their beverage later on their way to work. However, it misses the point of getting that energy booster to start the day. Fortunately, coffee lovers can invest in espresso makers. It helps speed up the process of grinding espresso beans and mixing it with boiling water. There are different types of espresso machines that can help coffee lovers with their favorite morning routine. Here are the five most common espresso machines that can help you drink coffee in the morning. The capsule espresso maker is the simplest and easiest coffee machine to use. It is perfect for beginners and those who do not have a lot of time in their hands during the morning. The device makes use of an espresso capsule, which eliminates the process of grinding coffee beans. Espresso capsules are packaged products with pre-determined and flavored ground coffee. There may be an argument that the capsules do not contain the “true” espresso most people want, but it makes the process of enjoying a cup of coffee faster than any other espresso maker. 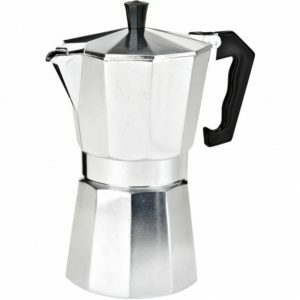 A stovetop espresso maker resembles a giant coffee pot. For people seeking the classic look of making the hot beverage, the stovetop is a perfect choice. While not a machine, the stovetop espresso maker can use steam pressure that generates from the heat of the stove to mix coffee grounds with hot water. The result makes for a more concentrated flavor of an espresso-like drink. The top container of the stovetop fills up with brewed coffee during the process. When you hear bubbling and steaming, your coffee is almost ready. 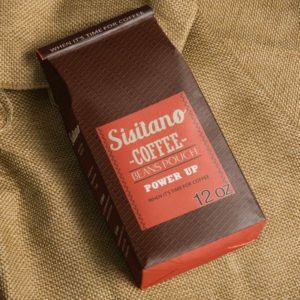 Steam pressure provides your coffee with a richer flavor. Traditional people will likely use the stovetop espresso maker for their morning beverage. The steam espresso machine has the same process of making coffee as the stovetop. However, it uses electricity over gas stoves. The steam espresso machine also uses steam pressure to generate coffee. Those who are beginning to love espresso will love the steam machine. While it is not the “true” espresso, it is the closest thing you can get. The investment for steam espresso machines is unmatchable with its easy instructions and an overpowering espresso flavor. A rumbling sound of boiling water will tell you that your espresso is ready for extraction. 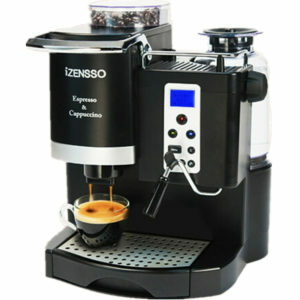 You can also steam milk using the machine with its two-way brew switch that allows you to brew coffee simultaneously. However, not all steam espresso machines have the two-way brew switch. The semi-automatic espresso machine can produce “real” espresso. A lot of coffee shops use semi-automatic machines to produce good espresso. Among its tools are a boiler, a filter, an extraction pump, and a switch that allows the barista to control the extraction process. Controlling the extraction process allows the coffee drinker to produce a beverage within his or her preference. The real game-winner for the semi-automatic espresso machines is that you can also add milk to the process and turn your espresso into a latte. The vision of owning a semi-automatic espresso machine is that you can control the outcome of your coffee, even after the espresso extraction. The automatic espresso machine is the best available coffee maker in the market. It takes out the manual process a semi-automatic provides and allows you to take a seat while it creates your coffee for you. The automatic machine can produce grind coffee beans, the grounds, self-clean, and provide excellent espresso with a click of a button. The process of using the automatic machine requires adding grounded coffee beans into the filter along with water. Then the device will take care of the rest. Since it is the best coffee maker you can get your hands on, it is the most expensive. The temptation of having to buy coffee outside can be tough to ignore. However, any espresso machine is an investment in your life and productivity. If you want to wake up in the morning with a coffee before you take a shower or cook breakfast, you can almost certainly do it with an espresso machine. There is also the danger of brewing coffee, so it is best to stay alert when using the espresso machines. Watch out for scalding steam and boiling water to avoid injuries. Make sure to clean your espresso maker after every use. Have the correct balance of ground coffee and water for health safety. When you know how to handle your coffee, you can enjoy its satisfying flavor in the morning.